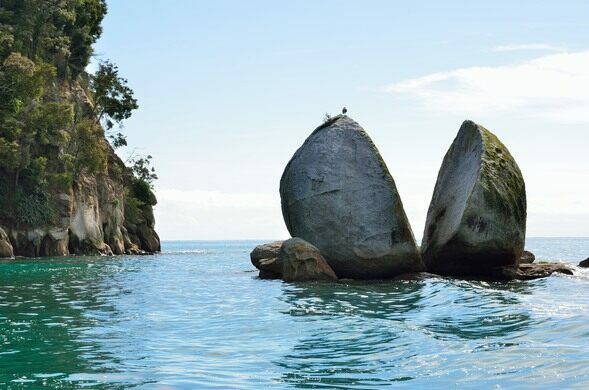 What looks like a giant stone apple cleaved neatly in half by some otherworldly knife sits within the beautiful crystal clear waters of the Tasman Bay. This strange boulder makes for an unusual beach attraction. 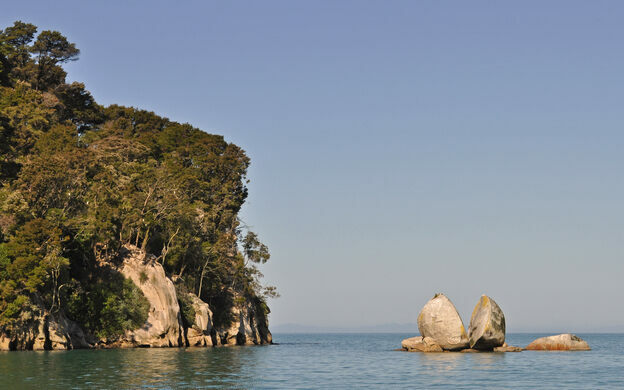 Known as Split Apple Rock, the naturally occurring rock formation is located just off the coast between Kaiteriteri and Marahau in Abel Tasman National Park. It’s made of granite and estimated to be around 120 million years old. 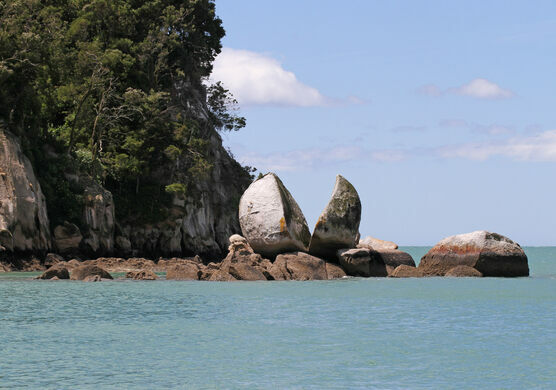 According to Māori legend, the boulder was split by two feuding gods who were fighting to possess it. To resolve the issue, they used their huge godlike strength to break it in half. As such, the Māori name for the rock is Tokangawhā, which means “burst open rock.” A more scientific theory is that water seeped into a crevice in the rock and then froze during an ice age, expanding and thus splitting the stone. The rock is 160 feet or so out from the shore. 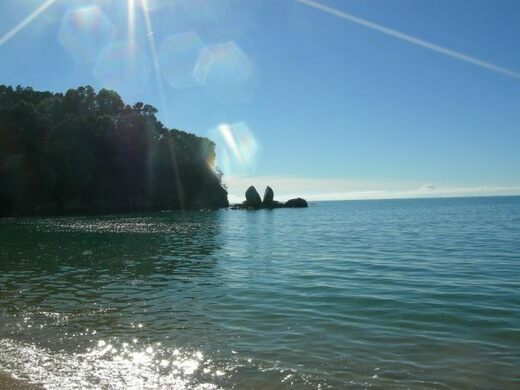 The beach can be accessed by walking down a short track just outside the town of Kaiteriteri; alternatively, kayak tours or water taxis will let you see the rock from the sea. In 2014, the formation was officially named Tokangawhā / Split Apple Rock. You can walk out to the rock at low tide (you'll still be wading through water). Or, when the water's high, you can kayak there. Public toilets are available near the beach on Moonraker Way. Some of the clearest water anywhere in the world. The real place where the One Ring to rule them all was forged. This deadly little sliver of beach has seen hundreds of whales beach themselves over the years.